Plans by Delta Air Lines to incorporate the 88 Boeing 717s Southwest inherited as part of its acquisition of AirTran Airways reflect the carrier’s somewhat contrarian view that it is more prudent to acquire slightly older aircraft that produce overall lower ownership costs. The philosophy runs counter to the belief that purchasing or leasing newer, more fuel efficient aircraft outweighs the cost of capital necessary to operate aircraft younger in age. The average age of AirTran’s 88 717s in 2010, when Southwest announced the acquisition of its smaller rival, was 10 years, which is much younger than the 34-year average age of the DC-9s flown by Delta that are pegged for replacement by the 717s. The 717s are also replacing 50-seat jets, and the larger-gauge aircraft will be more economical than the small jets, whose inefficiency grows as fuel prices climb. The AirTran 717s seat 117 in a two-class configuration. 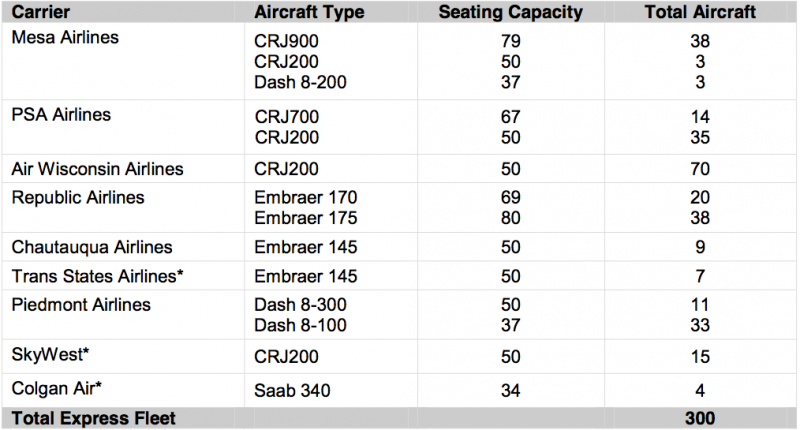 Delta's fleet of 21 DC-9s seat 125 in a two-class configuration, making the 717s a very close replacement. The only new-build aircraft with similar capacity are A319s, in which Delta seats 126, and 737-700s, in which Delta seats 124. Delta is of the view any higher ownership and maintenance cost of the 717s will be outweighed by the lower acquisition price. In contrast, when Delta in 2011 placed an order for 100 firm new-build 737-900ERs, those aircraft – at 180 seats in a two-class configuration – had no suitable second-hand alternative to replace larger capacity A320, 757 and 767s. "If you can take down maintenance costs with more efficient operations you get an improvement in CASM and if you stay with the goal of USD10 billion in net debt you get an improvement in the P&L if you integrate in the right way and take out the much higher cost airplanes. And that is conditioned on owning, not leasing,” CEO Richard Anderson said in 2011, as CAPA reported at the time. Delta also secured extremely favourable prices for the 737-900ERs, partially a result of Delta being willing to take many of the aircraft prior to the introduction of the 737 MAX. The few years prior to the introduction of the MAX (and A320neo at Airbus) will be more difficult to sell production as airlines could alternatively wait a few years to receive a step-change in efficiency. While it may seem curious that Delta would invest in an orphan aircraft no longer in production, the carrier says its reasoning simply comes down to economics. The cheaper aircraft result in a reduced capital outlay that furthers Delta’s goal of de-leveraging its balance sheet to attain a net debt of USD10 billion by mid-2013 (down from USD17 billion in 2009), and allow Delta to increase pay for pilots while achieving strategic relief on scope clause restrictions. Scope clauses are inherent elements of US mainline pilot contracts capping the number of seats on aircraft flown by regional airline partners of US legacy carriers. United, Delta (which merged with Northwest in 2008) and US Airways won some scope relief from the historical and arbitrary 50-seat caps during their respective turns in bankruptcy during the last decade. Delta already has one of the most lenient scope clauses, which allows the carrier to operate 255 two-class regional jets operating under its Delta Connection banner. After American Airlines in Jul-2011 announced a massive order for 460 Airbus and Boeing aircraft valued at USD40 billion at list prices, Delta moved quickly to distinguish itself from American as it sought to acquire only 200 narrowbody aircraft. Delta CEO Richard Anderson assured the investor community the carrier was not “buying shiny objects here. Our goal is to improve our P&L with a modest order of airplanes”. The carrier followed Mr Anderson’s declarations with an order for 100 737-900ERs, leaving hope for Bombardier’s beleaguered CSeries as it weighed options for the remaining 100 replacement aircraft. American, meanwhile, filed for Chapter 11 bankruptcy protection four months after placing the largest narrowbody order in history. Southwest initially expressed high hopes for the 717 it was gaining through the AirTran acquisition but, beginning in mid-2011, the carrier started to become less enthusiastic about the aircraft, declaring the smaller-gauge of the 110-seat aircraft would be tougher to operate in smaller markets as fuel costs remained high. Southwest also began surgery on AirTran’s network during 2011, eliminating many small markets AirTran operated with the 717. Southwest cut approximately 16 markets from the AirTran network, many of which had been operated with the smaller 717s. Another reason why the 717 fell out of favour with Southwest was the added complexity and cost of maintaining the Rolls-Royce BR715 engines powering the aircraft. Various models of the CFM56 power Southwest’s 737s and the carrier has selected the manufacturer’s Leap 1-B for its 150 737 Max aircraft scheduled for delivery beginning in 2017. Delta’s mainline fleet consisting of 770 aircraft is much more complex, so the additional engine type is not as problematic as it would have been at Southwest. Once all 88 717s are transitioned into Delta’s fleet, it will be the largest operator of the aircraft, which should create some opportunities for the carrier’s third-party maintenance business, Delta TechOps, to vie for engine overhaul business from other 717 operators. Hawaiian Airlines operates 18 of the aircraft, and has an existing relationship with Delta TechOps for maintenance of its A330 fleet. Delta also codeshares with Hawaiian on inter-island flights. As Southwest began to publicly conclude that the 717 had no longevity in its combined fleet with AirTran, Delta saw an opportunity to secure economical, narrowbody lift as it examined options for the remainder of its narrowbody replacement. Delta has taken a strict profit-minded view of acquiring new aircraft, willing to keep ageing aircraft (types that other carriers want to shed) if maintenance costs are not prohibitive. Delta can achieve maintenance cost scale with its TechOps arm. Delta opted not to pursue re-engined offerings from Airbus and Boeing through their respective A320neo and 737 Max offerings, nor did the carrier ultimately settle on Bombardier’s clean-sheet CSeries narrowbody. Delta has also opted to push out deliveries from an order of 18 787s inherited from Northwest until 2020, as it is in no rush to renew its widebody fleet. Rival United is scheduled to take delivery of its first 787 some time in the second half of the year, and has already announced new flights from its Denver hub to Tokyo, which serves as Delta’s Asian hub. Despite numerous delays in receiving its first aircraft, United remains optimistic over the flexibility the 787 will give it to improve managing seasonally across its network, something Delta has been focusing on for about a year. However, Delta does not see a pressing need to introduce smaller-gauge 219-seat 787s to its fleet of 211-262-seat 767-300s/300ERs/400ERs and 273-seat Boeing 777-200ERs/LRs. 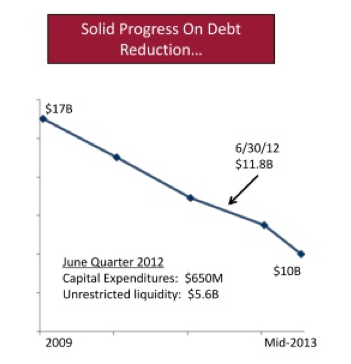 Delta during the last few years has been focused on minimum capital outlay requirements in order to pare down its debt. The 717 deals mimics agreements Delta has concluded to update its fleet through the purchase or lease of used aircraft. During the last couple of years Delta has concluded deals with Japan Airlines and China Eastern Airlines to grow its MD-90 fleet to 29 aircraft. Mr Anderson has repeatedly cited the capital cost of the MD-90 as a small fraction of a new 737-800, and offers similar range and customer attributes as newer narrowbodies. The carrier has adopted a strategy to opportunistically move in the used aircraft market, and the 717 deal is no different. Ironically, some of the aircraft will be operating out of Atlanta in competition with Southwest, which will eventually absorb AirTran’s operations over a year-long integration period. Delta has had ample experience watching its long-time competitor AirTran operate the 717, and is no doubt intimately familiar with the economics of the aircraft. Additionally, the 717 is a much more cost-effective alternative for 50-seat jet replacement, offering better fuel burn than the uneconomical smaller jets at a lower total cost of ownership. Delta will also likely use the 717s to revamp its network, shedding some of marginal routes currently being operated by 50-seat aircraft. Reaching an agreement with its pilots seven months ahead of the contract amendable date was an unprecedented move for both Delta and the airline industry. While the contract includes pay raises and Delta’s pilots will operate the 717, Delta won key scope relief. As the 717s come online beginning in 2013 and continue through 2015, Delta is allowed to add up to 70 two-class 76-seat regional jets, which will increase the total of larger regional jet flown by its regional partners to 325. The contract also stipulates for the removal of a substantial number of 50-seat aircraft, which pleases Delta management. Carrier executives have been looking for ways to shed the aircraft (which were essentially created to satisfy scope clause requirements) for many years. Delta stated it currently operates 255 two-class 76-seat-plus jets through its Connection partners (the total includes 28 CRJ700s/900s listed in Delta’s mainline fleet that are flown by regional carriers), which is up by a single aircraft based in year-end 2011 tallies. 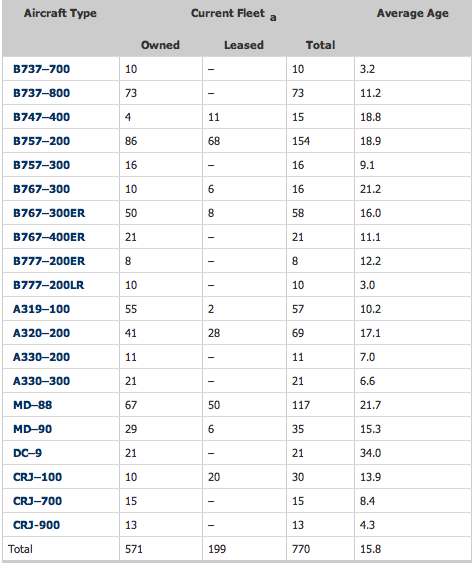 That compares with 110 at US Airways, and 153 at United (excluding 30 Q400 turboprops). Delta already has the lowest percentage of 50-seat aircraft in its regional fleet among its peers, at 58%. Smaller 50-seat jets comprise 63% of US Airways’ fleet and nearly 62% of United’s. If Delta’s pilots approve the tentative deal, the carrier achieves a first-mover advantage in ridding itself of the undesirable and uneconomical aircraft while keeping its capex at levels that allow it to achieve its return on invested capital target of 10% to 12%. During 1Q2012 Delta recorded a ROIC of 10.6%, compared with 6% for Southwest, which has declared its goal is to reach a 15% ROIC. Southwest has opted to defer 30 737-800 deliveries from 2013/14 to 2017/18 in an effort to move closer its stated return targets. As the turmoil between US legacy carriers and their various labour groups continues, Delta has the opportunity to continue to pull ahead, fostered by its ability to rid itself of 50-seat aircraft and expand its fleet of larger regional jets, and possibly open new markets with 717s that could quickly generate returns due to lower ownership costs.